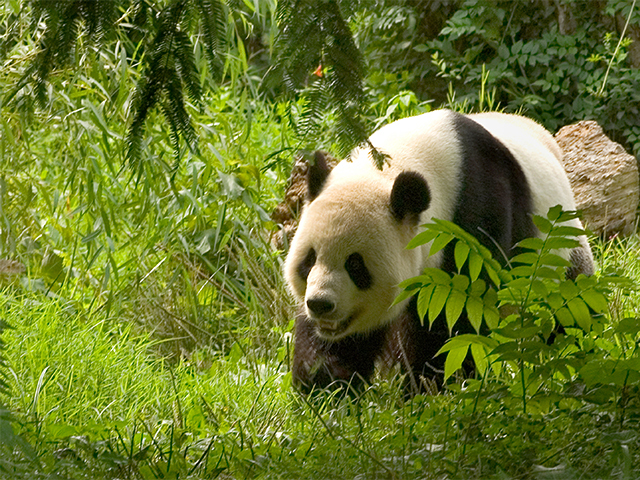 See China’s incredible endangered wildlife and marvel at the undisturbed natural attractions of the Sichuan province. On this holiday, take a step closer to China's unique heritage and culture as you weave your way through the scenic regions of Chengdu, Leishan, Emishan and, Jiuzhaigou. Visit UNESCO World Heritage Sites: Huanglong Scenic Area, Mount Emei & Jiuzhaigou Scenic Area. Your holiday begins in Chengdu airport where you will be met by our representative who will assist you in checking-in to your hotel. Chengdu city located in the Sichuan province is characterised by its cosmopolitan and free-spirited nature, an outcome of its geographical and political remoteness away from Beijing. A fast growing metropolis and a gateway to Tibet, it has a unique cuisine and one of the most interesting cities in China to visit! After breakfast, drive for about half an hour, to visit the Panda Breeding and Research Center, which is home to giant pandas, red (or lesser) pandas, and other endangered species. Here you have the chance to see China's National Symbol, the Giant Panda in action. In the afternoon, visit Kuan Zhai Lane. 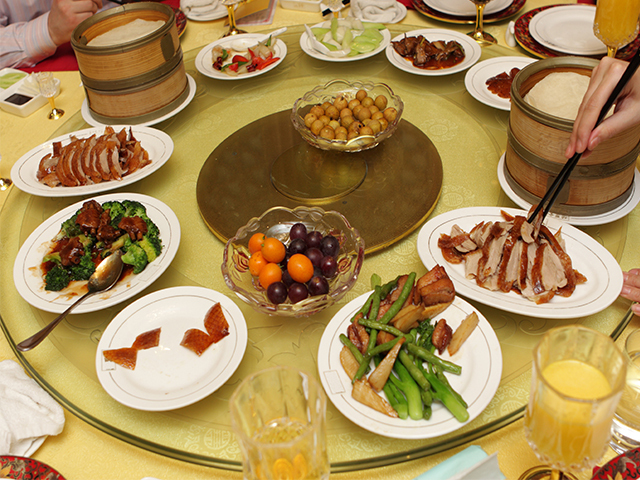 Here you can experience the local life in open-air teahouses and taste Sichuan dishes and snacks. Up next, visit Chengdu People’s Park, where you can interact with the locals, watch them doing Tai Chi, singing, dancing and maybe even join them! The park also home to refreshing bonsai gardens, artificial lakes, rockeries, historical monuments and traditional tea houses. Later, return to your hotel for some rest. After breakfast, be transferred to Leshan and witness the spectacular Leshan Giant Buddha. This is the world's largest Buddha statue and it is carved beautifully out of a hillside overlooking the confluence of three rivers. The Buddha tour is by boat, which gives you an opportunity to see the full image of the Buddha. Later, proceed to Mount Emei, a UNESCO World Heritage site. It is the highest of China’s four holy Buddhist Mountains. This region is an area of striking natural beauty, where you can find a diverse range of flora and fauna. This includes trees which are over a thousand years old. In the evening return to your hotel which is located at the foot of the mountain and offers breathtaking views of the scenic landscape. 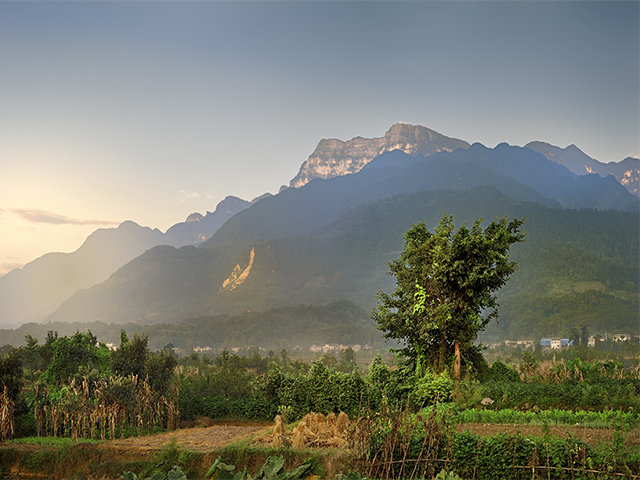 Today, continue exploring the Mount Emei region. After breakfast, take the sightseeing bus up to Leidongping and then take a cable car to the Golden Summit for spectacular views. If climate allows, you can experience the four wonders of Mount Emei: Buddha’s Halo (rainbow-like rings that surround and move with your shadow), the Sea of Clouds, the Divine Lights and the Golden Summit Sunrise. 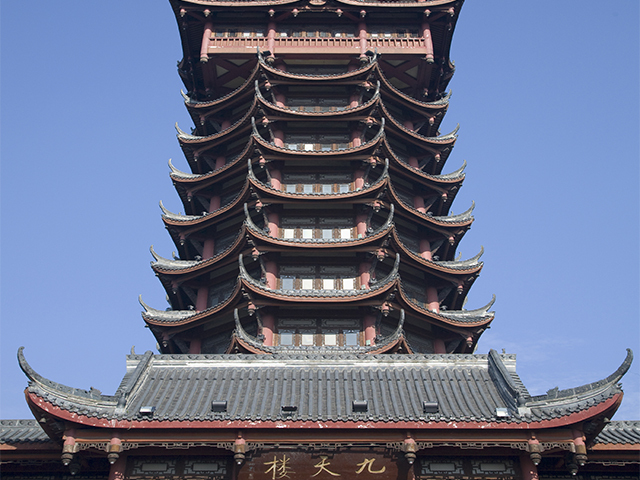 Later, visit the Wannian Temple, known for its three treasures: Beamless Hall, a bronze statue of Bodhisattva Puxian and the Buddha’s tooth. After breakfast, be transferred to Chengdu airport to board the flight to Jiuzhaigou (Additional - Air Fare is not included). Upon arrival in Jiuzhaigou, be met by your guide and be transferred to the Huanglong Scenic Area. This scenic area has been declared as a UNESCO World Heritage Site. Huanglong is a narrow valley, which has a dense distribution of thousands of travertine colour-ponds, and streams. In addition to its mountain landscape, this region hosts a diverse forest ecosystem as well as spectacular limestone formations, waterfalls and hot springs. The area is home to endangered animals, and this includes the giant panda and the Sichuan golden snub-nosed monkey. Visit the famous Huanglonggou (Yellow Dragon Gully), where you can witness the five-coloured pool, and see the cluster of amazing ponds and waterfalls. Later, be transferred to the Jiuzhaigou Scenic Area (Approx 3-hour drive) and check-in to your hotel in Jiuzhaigou. After breakfast, go on a sightseeing tour of the Jiuzhaigou Scenic Area. Here you can witness the exceptional natural beauty of Jiuzhaigou Scenic Area with its spectacular jagged alpine mountains and numerous lakes, waterfalls and coniferous trees. It is also home to nine Tibetan villages. Using both boardwalks and the shuttle buses, visit the major attractions in the three valleys -Shuzheng Valley, Rize Valley and Zechawa Valley. Later, visit Nuorilang Water Fall and Long Lake which is a crescent-shaped and is the highest, largest and deepest lake in Jiuzhaigou. Today is the last day on your Chinese holiday. You will have breakfast and be escorted to the Jiuzhaigou Airport for your flight back home.